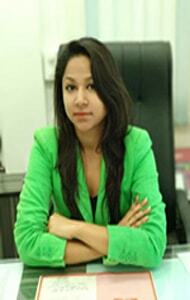 Expertise: Sakhshi Rawat is Dynamic, dedicated and sincere research scientist having detailed research experience. She has utilized, developed and built expertise in various conventional research methods of designing, planning and execution in field of bioinformatics, drug discovery, simulation studies and NGS data analysis. Successfully concluded more than 30 research related services and prepared research reports along with technical briefs. Co-authored in 16 publications in peer reviewed high impact fact journals 1 book chapter (accepted), 2 research paper (published), 2 research papers(submitted), 4 review papers (submitted, final stage) and 9 review papers ( final editing). She has trained more than 30 research trainees, 75 industrial trainees in the fields mentioned; managed and coordinated multiple research projects simultaneously. Computer aided drug discovery: Chemoinformatics, drug discovery approaches- pharmacophorebased, docking studies for protein protein, protein-ligand interactions. Molecular modelling and simulation studies: Proficient in Insilico protein modelling with varioustechniques, dynamics studies of protein and protein ligand complexes using softwares. Next generation sequence data analysis: Understand big genomic data analysis, mutation studies,variant calling techniques.